Authentic Italian cuisine, from pizza to pasta. Made from scratch using fresh and local ingredients. This is my 5 year old’s favorite place to get a meatball pizza. I love their salads! And the kids think it’s so cool to watch the chefs work their magic in the kitchen. Delivery available in Covington ~ fresh ingredients = great pizza at Giuseppe’s! 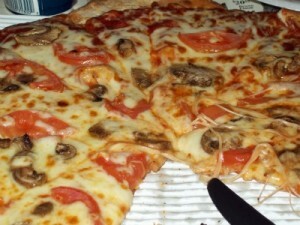 A Slice of New York ~ Goodfella’s is a great place to get super big (delicious) pizzas to feed a crowd! Or to grab lunch…pizza by the slice! Try the Buffalo Chicken Pizza! And on warm nights you can sit on their patio, and if you’re lucky you’ll hear some live local music. Every Tuesday pizza is half off until 4pm and they also offer pizza on their kid’s menu. Brick oven pizzas, craft brews and a beautiful view. Their pizzas are delish…but they also offer other options like burgers, sandwiches, salads and more! Plus a great selection of craft beers. Also…do yourself a favor and order some “Tasty Tots”, they are out of this world! 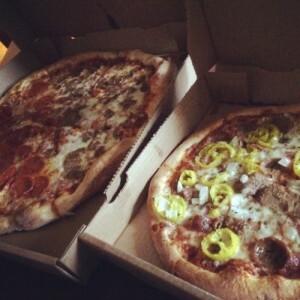 New York Style Pizza – by the slice or by the pie. And be sure to check out their game day specials! A Covington institution since 1981, serving up pizza, hoagies & wings! It’s not just pizza at Salvadore’s…there’s hoagies, calzones, salads, pasta and appetizers as well! Yum! Chicago Style Pizza in NKY! Kids eat FREE on Tuesdays and they also have Gluten Free Menu Items! We’ve heard the BBQ Chicken Pizza is awesome here! 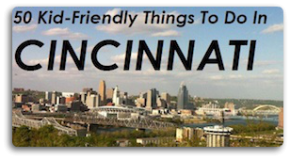 Check out the Mio’s website for all kinds of great specials, like Family Night, Date Night and more! 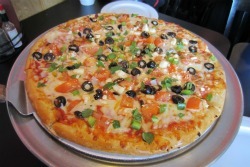 “Pizza, Patio & Pub” – visit the Papa Dino’s website for details about their awesome daily specials. Grab a pie, then hit the movies, or the bookstore or the aquarium! There’s never a dull moment at the Levee! Not in the mood for pizza? Their salads are fantastic as well! Not only do they serve pizza, pasta, salad, sandwiches and calzones for lunch and dinner…but they also serve breakfast! 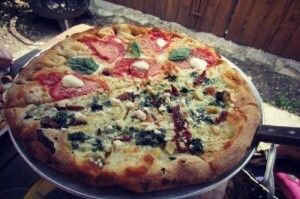 Newport Pizza offers indoor and outdoor seating and they have some amazing specialty pizzas (my fave is the Zeus!). Dine at Pasquale’s and then head to Schneider’s for dessert! 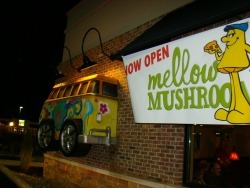 They offer dine in, carry out, delivery AND they have a Brick Oven Trailer that they can bring to your party or event!